Multiple bids, highest and best by 6:00pm March 24, Sunday. Seller has taken his time to get this 2 family in excellent condition. All interior rooms have been painted. Carpets have been cleaned. 2008 2nd floor unit was upgraded: with Kitchen cabinets, countertops, gas stove, refrigerator; also windows where updated and washer/dryer was purchased. Roof was replaced too, in 2008 with 40 year shingles. 2nd floor porch and stairs upgraded last summer! Upgraded Electrical. Access to Basement is in the back. OFF STREET PARKING --- ROOM FOR 4 CARS PLUS A DRIVEWAY! 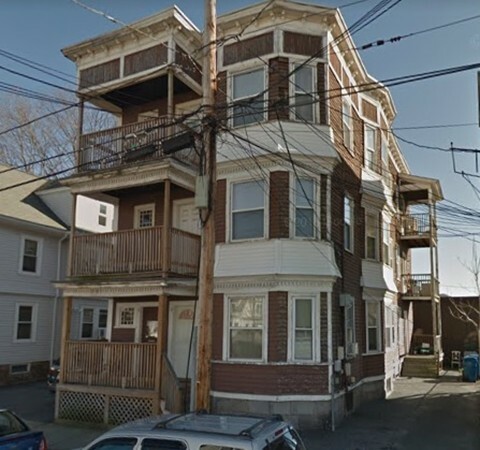 1st floor unit is vacant and was previously rented to a family member, owners live on the 2nd floor. Lovely duplex on quite street, this property offers many advantages. Both units have two bedrooms, 1 full bath each. The living area is pleasant and inviting with great natural light. Each side has separate utilities and full basement for storage. Vinyl siding for easier maintenance. The fenced yard provides peace of mind for children and pets. Great investment or owner occupied property. 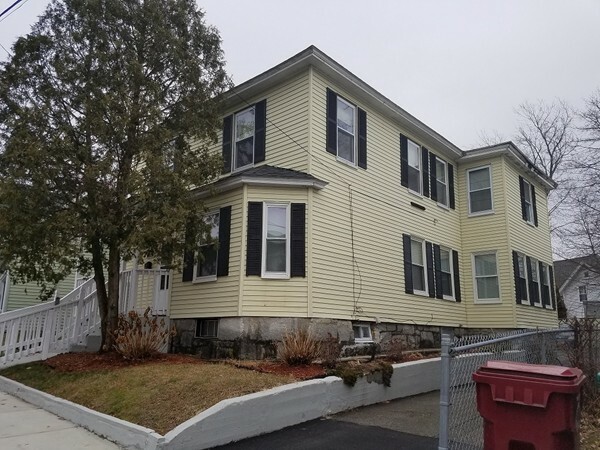 Excellent access to the Connector, city attractions and UMASS Lowell. also has Updated furnace, hot water heater, and off street parking. 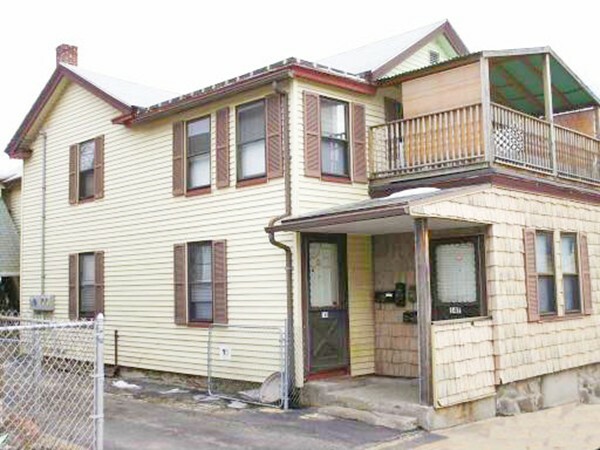 Potential Owner Occupied or Investor! This 3 Family home is looking for your finishing touches! 1st Floor: Has been freshly painted and update kitchen and offers 2 Bedrooms large eat-in Kitchen and full bathroom. 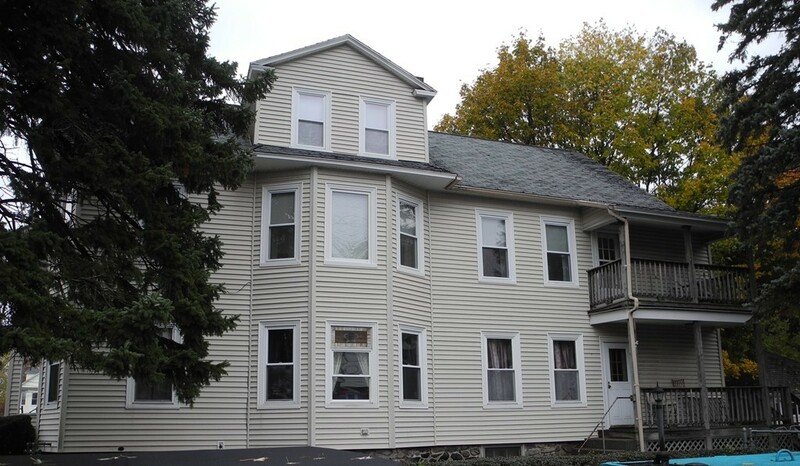 2nd Floor: Make this gem shine with some new touches! 2 Bedrooms, large eat-in Kitchen and full bathroom. 3rd Floor: Needing some updating but great potential that this Studio offers with eat-in Kitchen, full bathroom and Liv/bedroom. Property to be sold "as is"! Subject to Seller's obtaining license to Sell. Seller requesting that any and all offers be submitted by Sunday April 7th by 5:00pm. 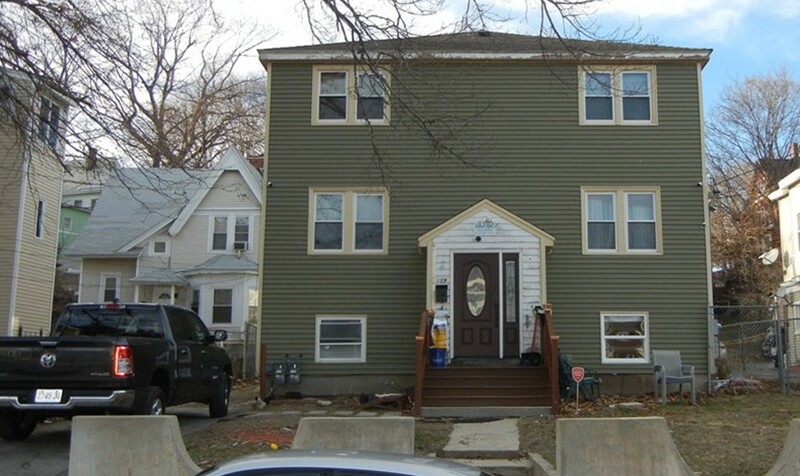 Well maintained 3 UNIT with great rental history. You can live in one and have your expenses paid by the other two or rent all three! Unit 1 consists of 1 bedroom, 1 bathroom and open concept kitchen/living room/dining room. Unit 2 features 2 bedrooms, 1 bathroom, eat-in-kitchen and living room. Unit three has 3 bedrooms, 1 bathroom, kitchen, dining room, living room and a spacious deck. Each unit has their own heating system, hot water tank and electric. Property sits on a flat .47 acre lot with plenty of paved parking. Exterior of the property has vinyl windows and vinyl siding so the exterior is Maintenance free. Property is minutes away from major routes, shopping and more. 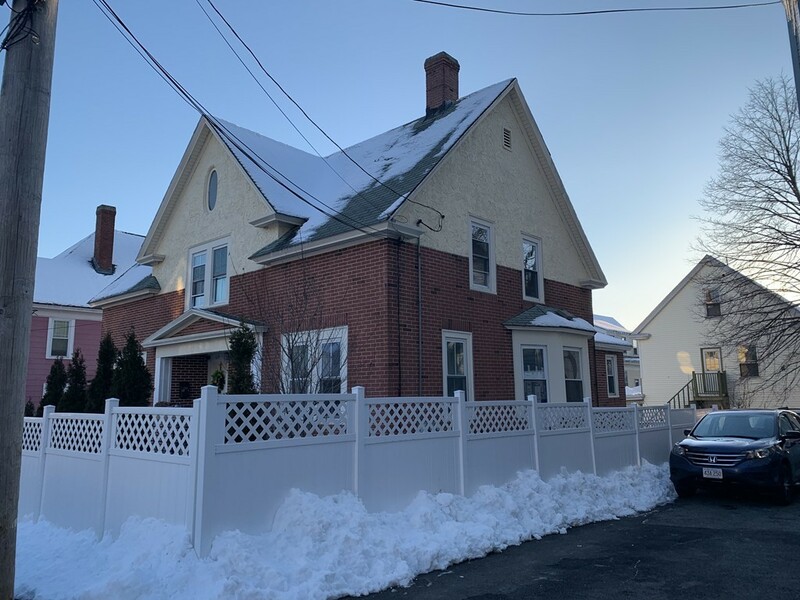 SHOWINGS TO BEGIN ON 3/30/2019 at OPEN HOUSE 11:00am-1:00pm. MULTIPLE OFFERS. ALL OFFERS DUE BY 4/3/18 AT 5:00 PM. A true pride of ownership ready for you to make it your home! Truly a special one offering updates throughout! Young roof, vinyl sided exterior with 2 pane vinyl windows along with ample off-street parking with 2 driveways and a 1 car garage. Owners unit offers a large eat in kitchen with updated cabinets, ceramic tile flooring and a spacious living room. 1st unit also offers 3 spacious bedrooms with ample sized closets and updated bath. 2nd unit also offers an open concept layout with updated bath as well as an updated kitchen with breakfast bar area in kitchen. Lower level offers updated heating units, a partially finished area and ample storage. Make this home yours! 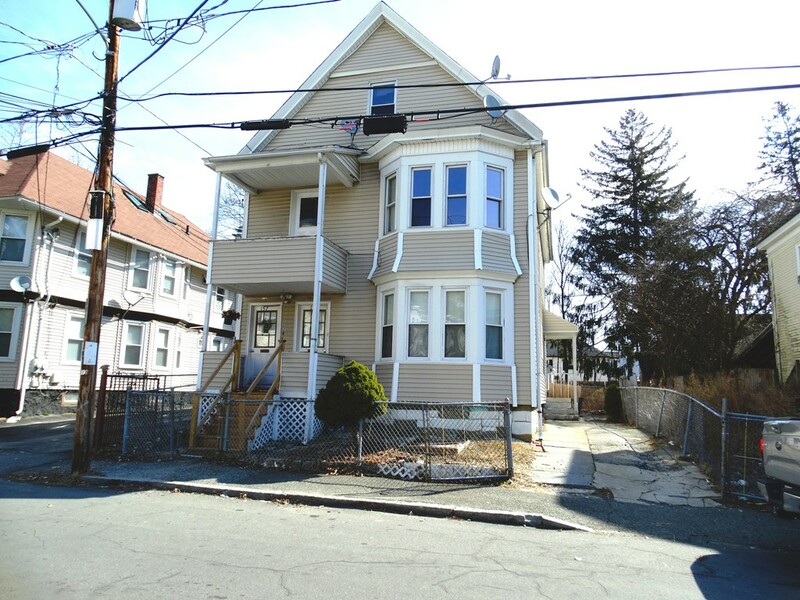 Centrally located 3-family home with ample parking and yard! All 3 units are 3-room 1-bedroom apartments with stand-up showers in the bathrooms. Units 2 and 3 are currently being used by the owner as one apartment. Unit 1 is vacant and was most recently rented for $1200 per month. 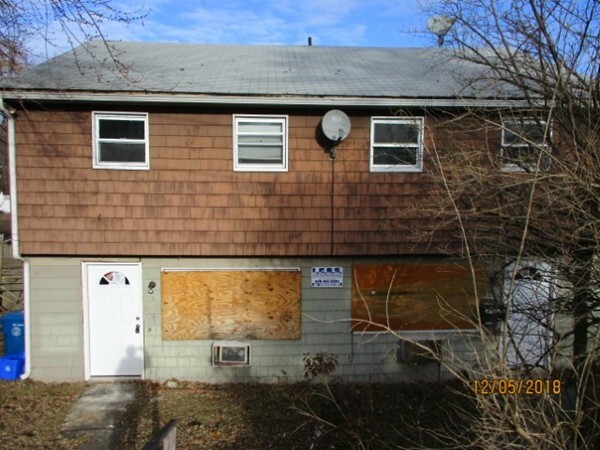 Great property for an investor or an owner occupant! 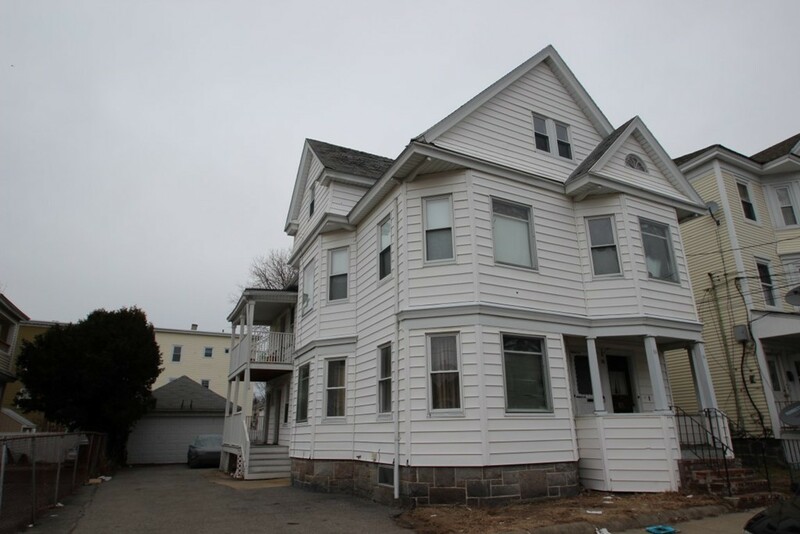 Centrally located 3 Family Multi in the Downtown area of Lawrence. Close proximity to shopping, public transportation and Major Routes and Highways including I93, I495 and Routes 110 and 28 (Broadway). Great opportunity. Make an appointment today! Location, Location, Location!!!! 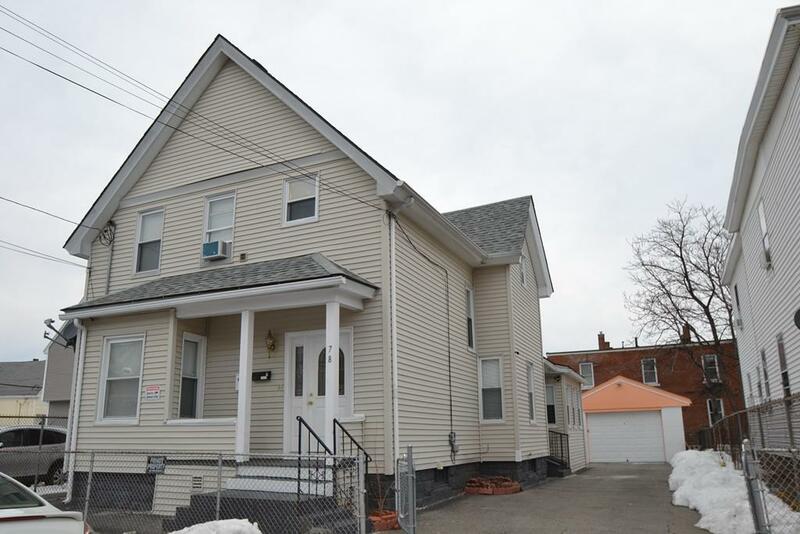 Very well kept Duplex on a dead end street. Featuring an additional room and bathroom in the finished basement that makes these Units 5 rooms, 3 bedrooms and 2 bathrooms each. Oversized kitchen, 3 closets in the master bedroom, lots of storage space, large fenced in backyard with outdoor space perfect for entertaining. Landscaped front yard and much more. It is a Must See!!!! FIRST SHOWING - OPEN HOUSE/GROUP SHOWING WEDNESDAY 09/06/2017 from 4:00pm - 5:00pm. 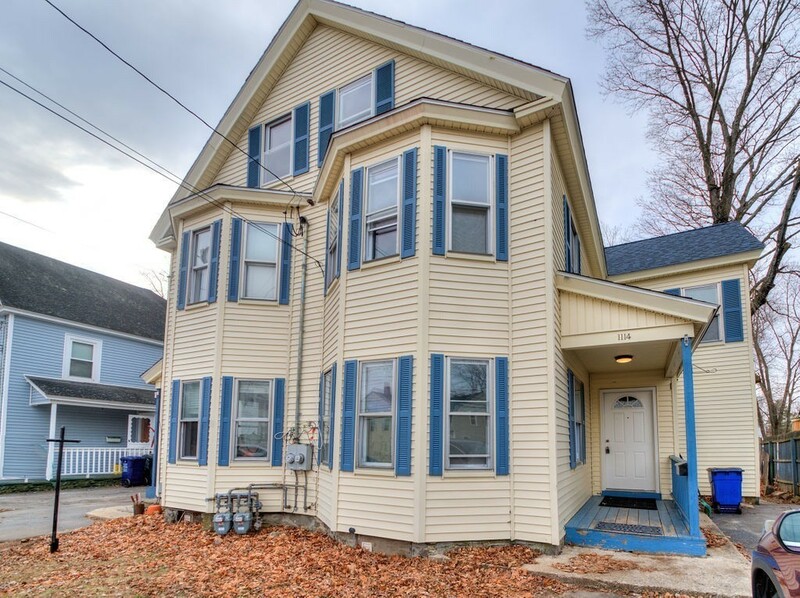 South Lawrence location home within distance to parks along the Merrimack River! Home offers off street parking, vinyl siding and backyard area for summer fun! Interior offers ample storage in lower level with washer & dryer hookup and brand new heating systems and hot water tanks! Units offer 3 bedrooms with updated baths. 2nd floor unit offers additional storage and a enclosed porch. Make this one yours today! 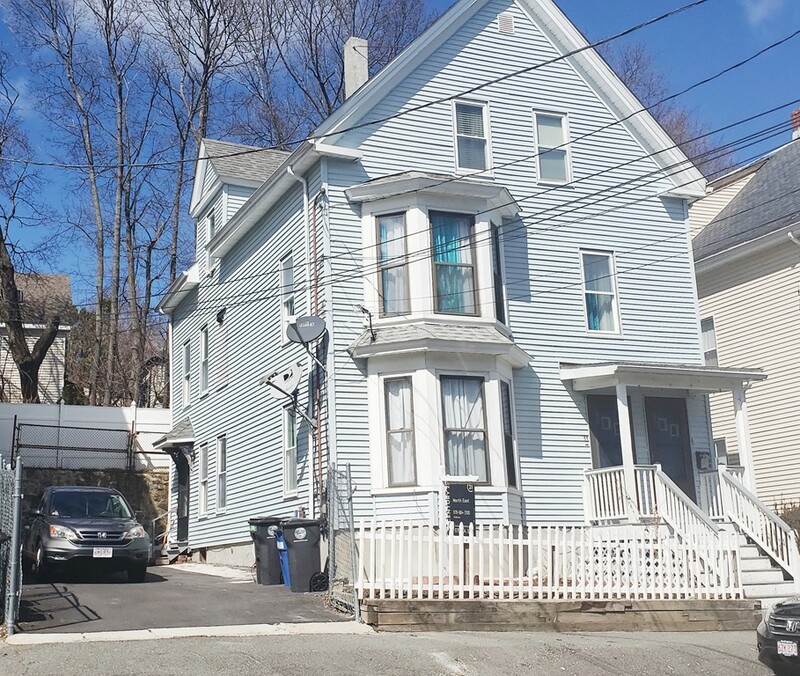 Do Not Miss this incredible opportunity to own a two family at a great value in a prime Prospect Hill location. This well maintained property offers two units, one - three bedroom, two full bath unit and one - one bedroom, one full bath unit, perfect for in-law or to generate additional income. Whats more property offers a number of updates i.e. roof, recent hot water heater, etc. 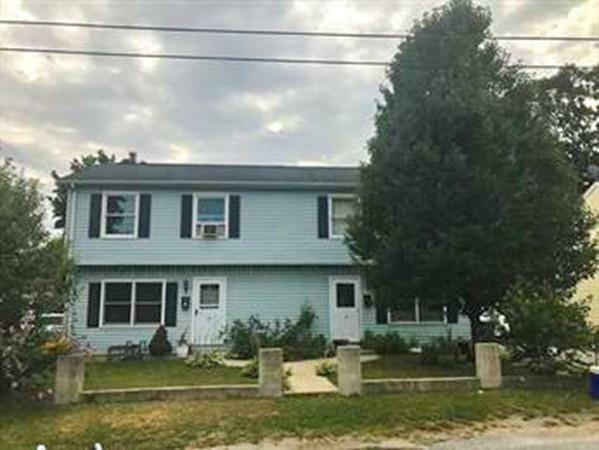 plenty of storage and boasts a double wide lot with spacious back and side fenced yard with an abundance of off street parking for many cars. This great location offers close proximity to I-495 and Routes 213 and 110. Well priced 2 family in today's market. Maintenance free vinyl siding. Paved driveway. Won't last. 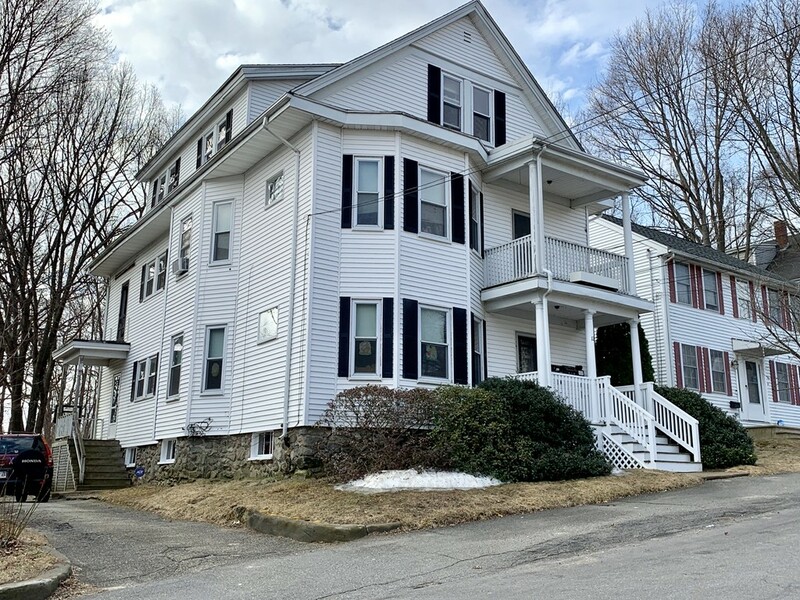 HIGHEST AND BEST BY 3/29/2019 AT 1 P.M.. PRICE TO SELL!! 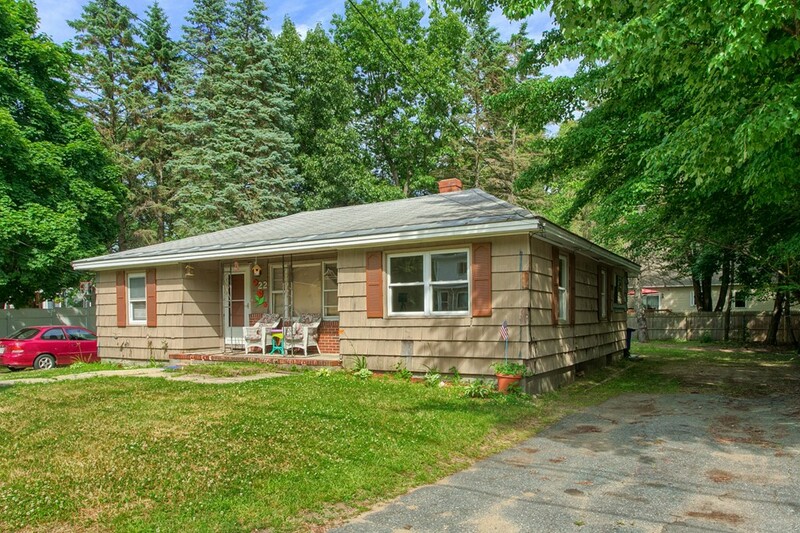 !, Very well maintained two family home in North Lawrence. 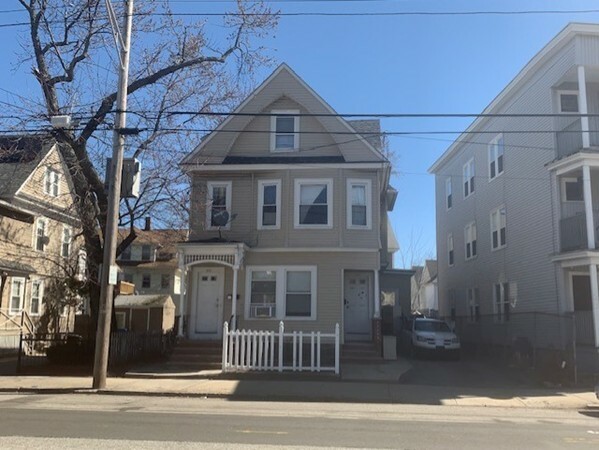 Seller's unit has three bedrooms, one full bath and 2 half baths, Living room, kitchen and updated partially finished basement for the growing family. Second unit has one bedroom, living room, and kitchen. 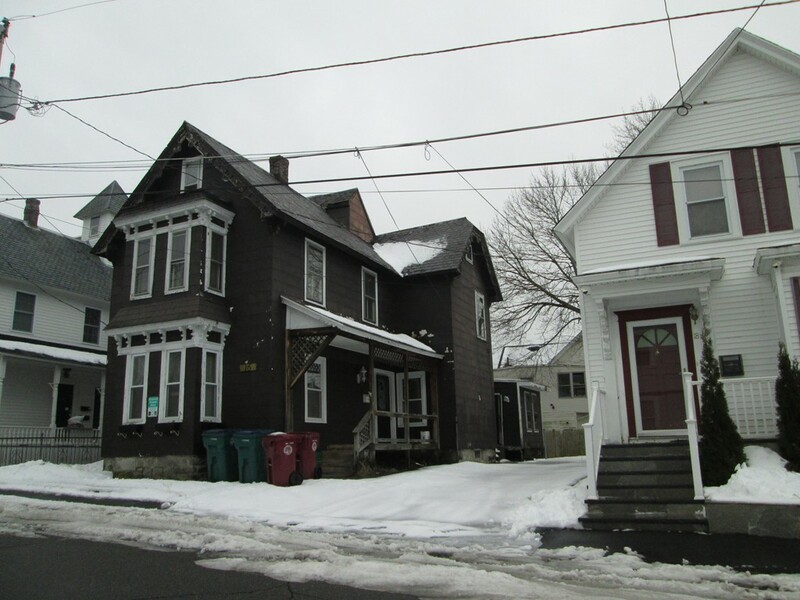 Property also offers new roof, new vinyl siding, new front door and newer windows. Fenced in back yard, off-street parking and much more. Book your showing today!! 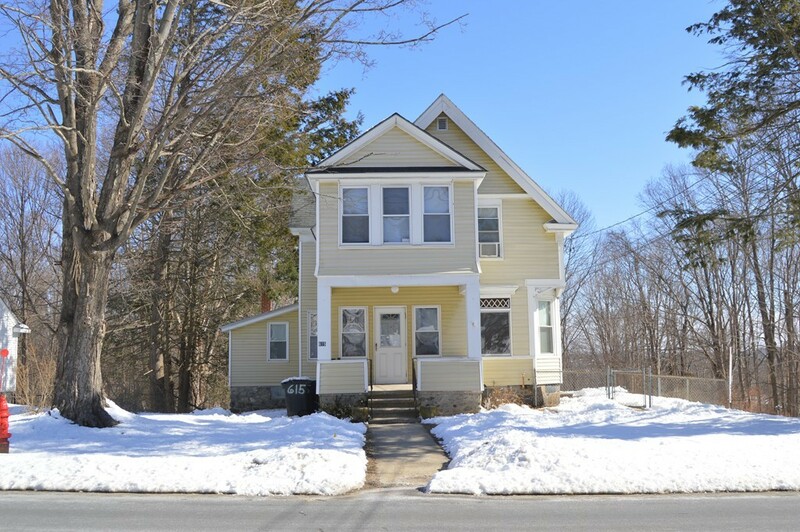 Rare opportunity to own this 2 family in Methuen. 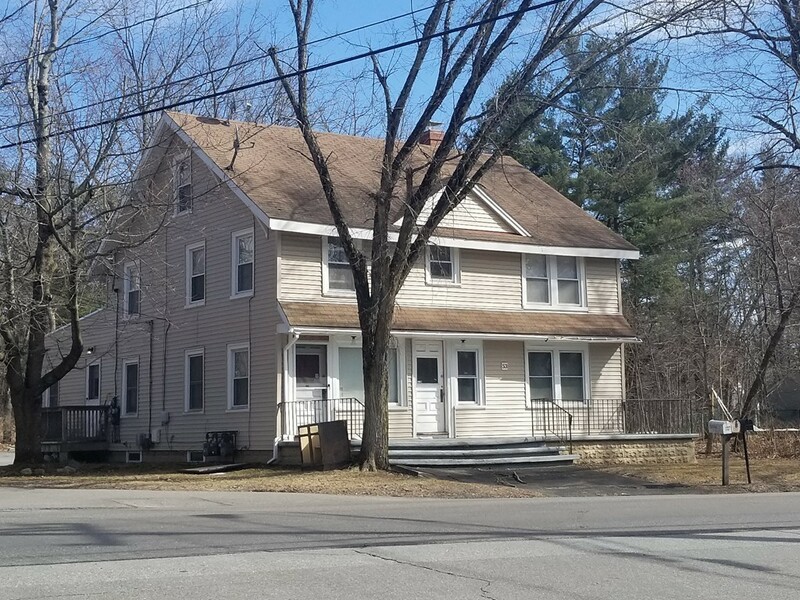 3 spacious bedrooms on the first floor and 2 on the second floor with additional rooms and a bathroom in the partially finished basement (pool table included). Newer electrical panels, newer vinyl windows, updated kitchens and bathrooms and some hardwood floors. Off-street parking for 4 cars. HIGHEST AND BEST DUE FRIDAY 3/29 AT 5PM. Great price in today's market!! Three family home located on dead end street. This home comes with 2 extra lots to the right of it. Great for Summer BBQs and lots of parking. Won't last! 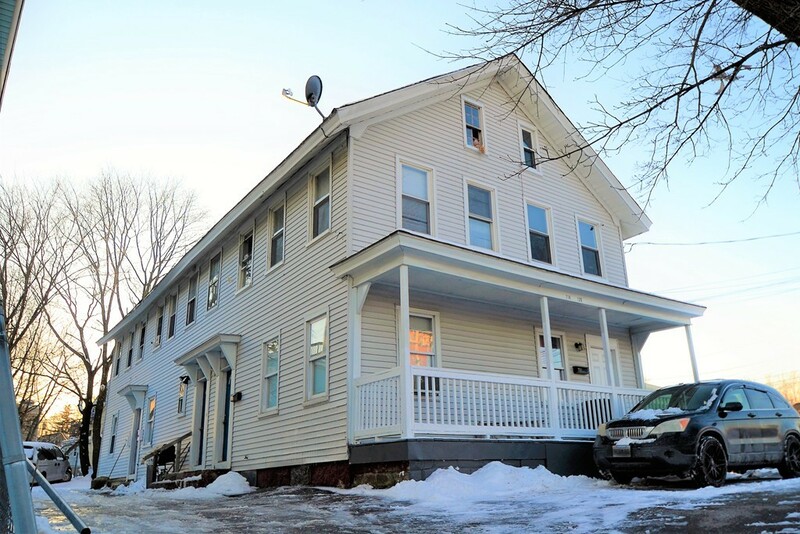 Welcome home to sunny 64 Shattuck Street! 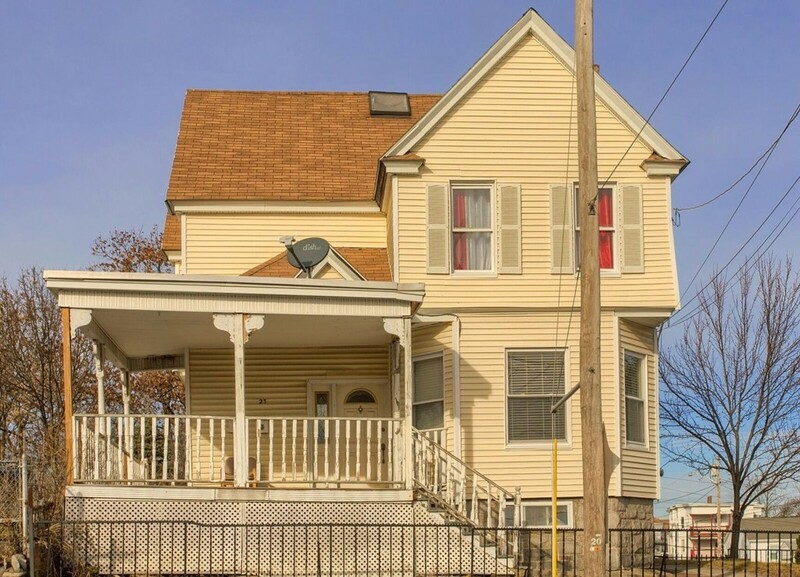 This 2-family home is perfect for owner-occupation and/or investment. Each unit has 3 bedrooms, arched doorways, beautiful floors and a lovely eat-in kitchen. The second unit has a walk-up attic with 2 additional bedrooms and half bath, which is perfect for a growing family. The long driveway adds plenty of off-street parking. Each unit also has its own access to a private porch to sit out and enjoy the weather. The second floor porch has views of the river and the city! This property is a MUST SEE! 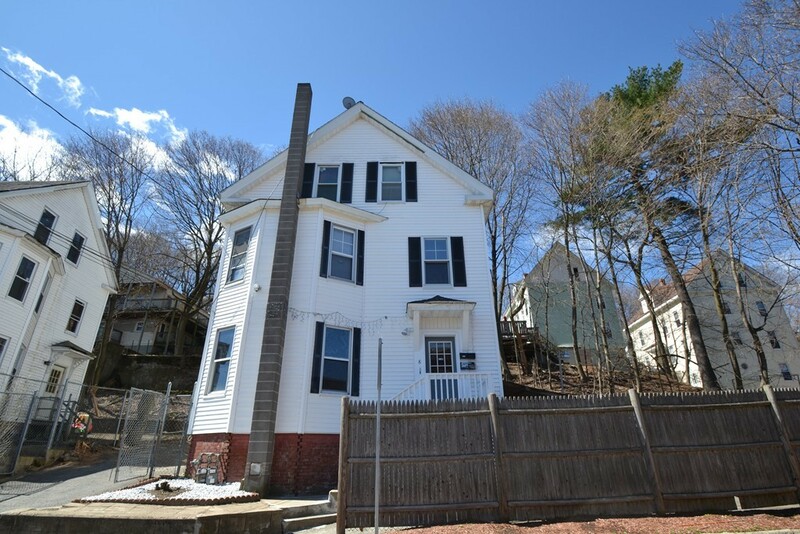 Welcome to this well cared for turnkey 2 unit home offering additional living space on 3rd level! Home offers off street parking with double driveway, fenced in yard area for summer fun as well as a recently replaced roof. Owner's unit was renovated and features a large eat in kitchen with granite counters, mosaic backsplash with stainless steel appliances and spacious living room and master bedroom with master bath. This unit also provides private access to lower level with a family/media room offering recessed lighting and exposed stone walls, a 1/2 bath, bonus heated room as well as tons of storage and laundry area. 2nd level of home offers townhouse style living with two full baths. Home provides access to shopping, restaurants and entertainment in downtown Haverhill and access to Kenoza Lake & Winnekenni Park! Truly a gem and ready for you to make it home! 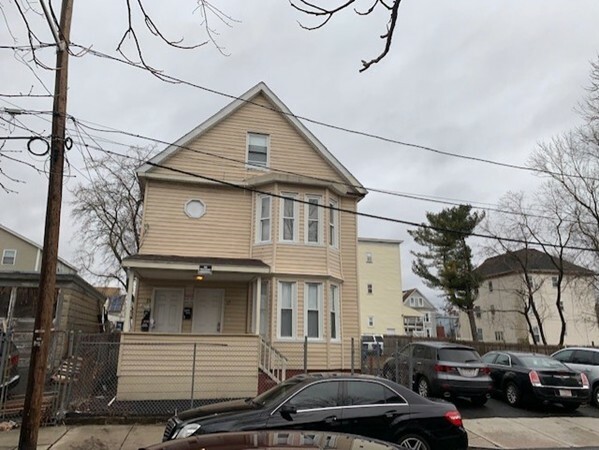 Wonderful and well taken care of property featuring 1st floor with 2 beds rented for $1200, 2nd floor(owner unit) with finished attic, 4beds, 2 full baths and washer/dryer in units. Attic access from front and rear making it "possible" for 3-family conversion, off street parking for 3 cars, parking space also being used for family gathering and cookouts. 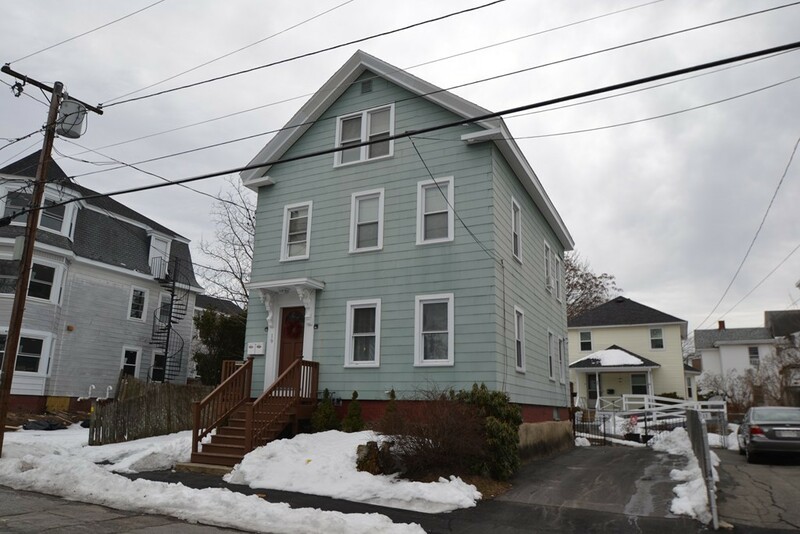 Property updates include: paint, bathroom tile, 2nd floor kitchen,newer water heater and more. Showings start @ Open House Saturday 11:30-1:30pm!! If extra space and spacious living areas is what your are looking for, then look no further. This well maintained property offers not one but two 3brm units with spacious kitchens, living areas and bedrooms. Each unit features bright and inviting living spaces, gleaming hardwood floors throughout and spacious kitchens. The 2nd floor unit offers a walk-up finished attic with 3 additional rooms that provide endless possibilities for added living space. It's corner lot location conviniently provides 2 private driveways which allows for each unit to have 2 off-street parking spaces. Property is conveniently located near shopping areas and I-495. Nothing to do but move in! Don't miss this opportunity! A MOTIVATED SELLER HAS MADE IMPROVEMENT IN THIS LARGE BRICK DUPLEX . EACH APARTMENT OF THIS WELL KEPT PROPERTY FEATURES SEVEN ROOMS, 4 BEDROOMS , LIVING ROOM, DINING ROOM, A LARGE KITCHEN ONE OF THEM COMPLETELY RENOVATED. 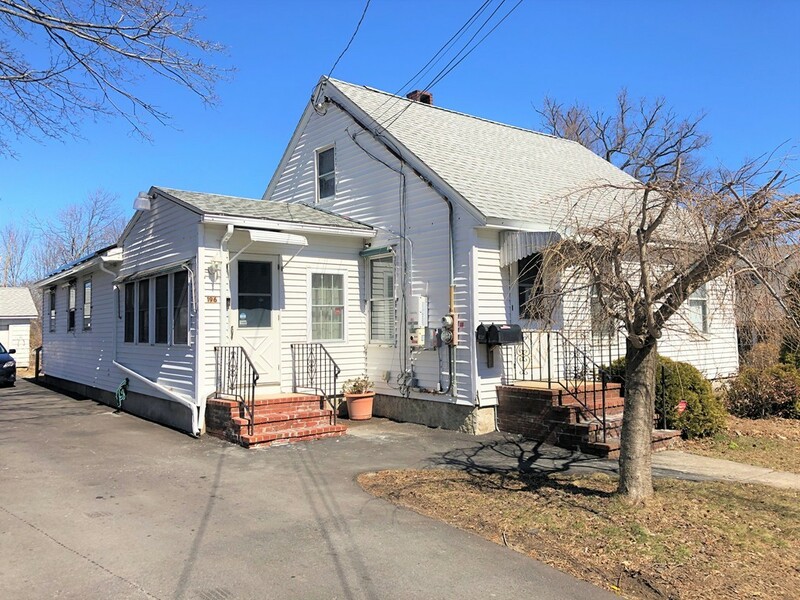 INCLUDING AN ENCLOSED PORCH IN THE BACK AND AN OPEN ONE IN THE FRONT LEADING TO A VERY NICE FRONT ENCLOSED YARD READY FOR YOUR SUMMER ENTERTAINING. THE HOUSE HAS 5 BATHS INCLUDING A RENOVATED ONE. OFF STREET PARKING, A FENCED BACK YARD, A NEW SHED AND A NEW CARPORT.. COME AND SEE THIS ONE, IT WILL PLEASANTLY SURPRISE YOU. OPEN HOUSE FRIDAY AND SATURDAY MARCH 8 AND 9 FROM 2:00pm TO 4:00 pm. ALL OFFER WILL BE PRESENTED MONDAY, MARCH 11 AT 5:00. GREAT OPPORTUNITY!!!! 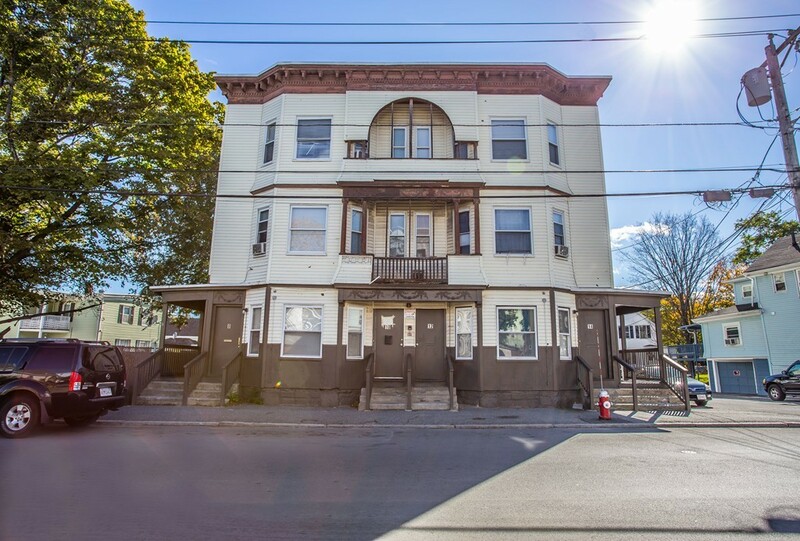 Great opportunity for Investor or an Owner -Occupied Buyer ! Convenient to Highway, Shopping and public transportation. First Floor offers large eat-in kitchen, Living room, Dining Room and 2 bedrooms with full bath. 2nd floor has same layout but also offers additional expansion possibilities with walk-up,3 rd floor and 2 covered porches. Corner Lot has nice backyard as well as 2-car garage and parking for 4 cars. Newer boilers and nat gas HW tanks. JUST REDUCED!!! Fixer- upper !! Colonial and adjoining buildable lot! Bring your ideas and TLC to create a fantastic opportunity! 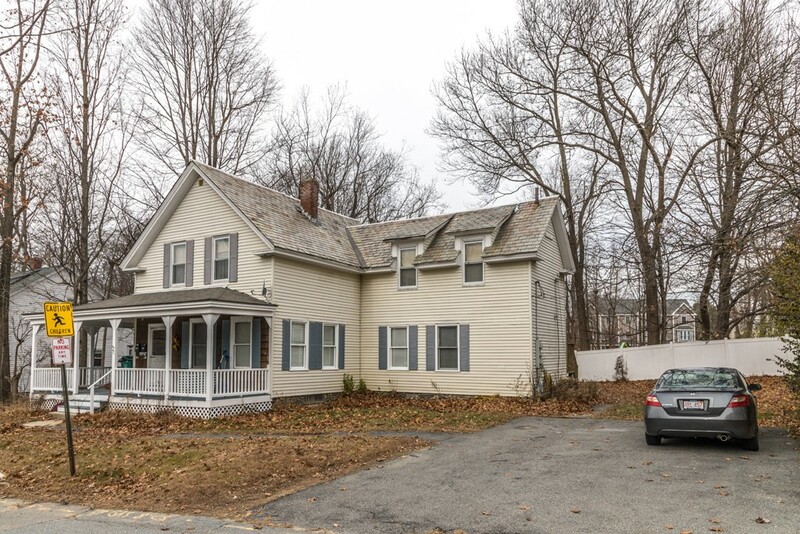 Income from a 2 family colonial on approximately 1.9 acres plus opportunity to build your dreamhouse right next door on the buildable approximate 3.75 acre lot . Approved for single family only. Colonial has a new roof, Newer hot air furnace, blown in insulation, newer water heater, insulated doors and Harvey windows. Both to be sold as onepackage. Needs Septic Sysem." SOLD AS IS, AS SEEN" ! Seller will remove all contents from home! Welcome to 59 Salem st. 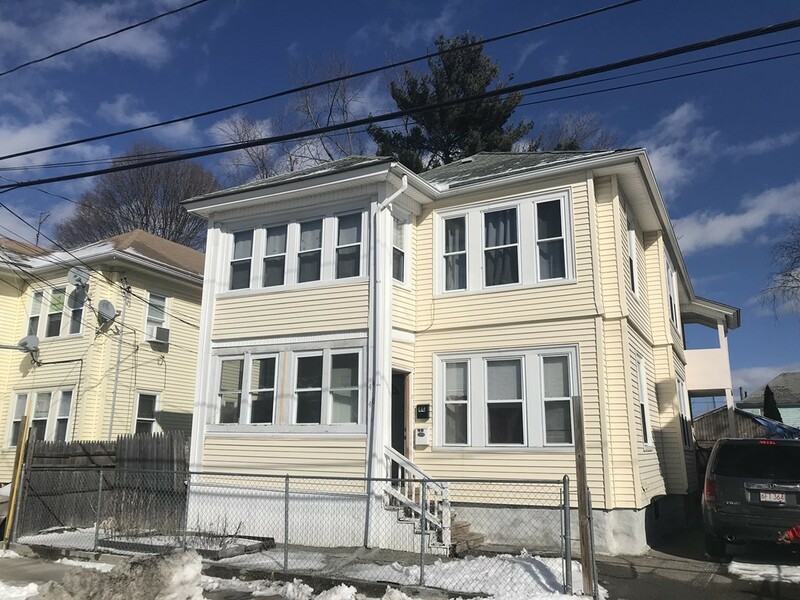 This charming 2 family has had may recent updates including updated windows, brand new exterior paint and trim work September 2018, as well as brand new tankless hot water heaters and heating units.This is a great option for investor or owner occupant. 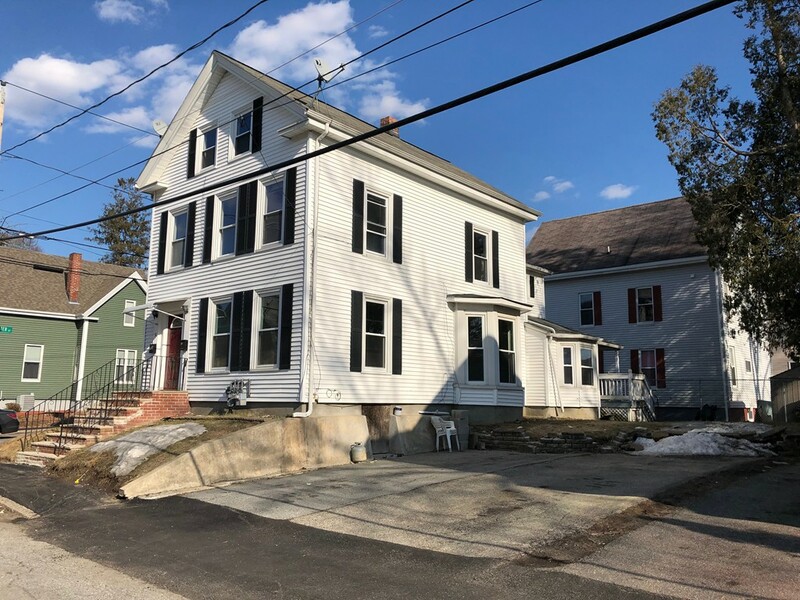 There are many extras that await the next owner at their new home including finished room in the attic, with some interior paint this house will be complete. This sale is subject to sellers finding suitable housing. First showings at open house 4/14 from 12-1:30. MUST SEE!! Sought after South Lawrence well maintained two family home on an oversized lot offering plenty of off street parking. Each unit contains 3 bedrooms, 1 full bath, kitchen w/ pantry, living & dining room with separate utilities. Large fenced in yard for privacy, with a 12x12 patio and a 10x10 storage shed is great for entertaining. Additional features include brand new space saving wall hung high efficiency gas heat/hot water combination units with a back up brand new 50 gallon electric hot water tank, new roof, new gas ranges, and outside granite stair treads with vinyl railings leading to both the front and back porches for each unit. 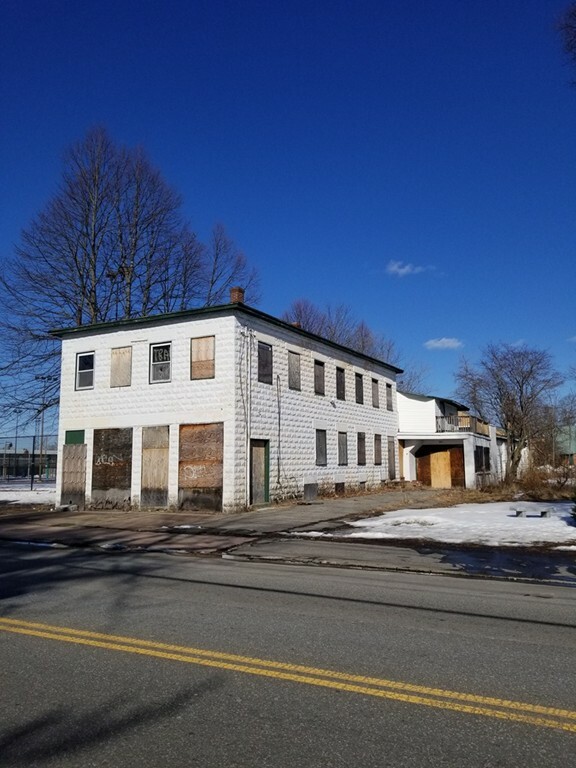 Both units to be vacant upon closing. 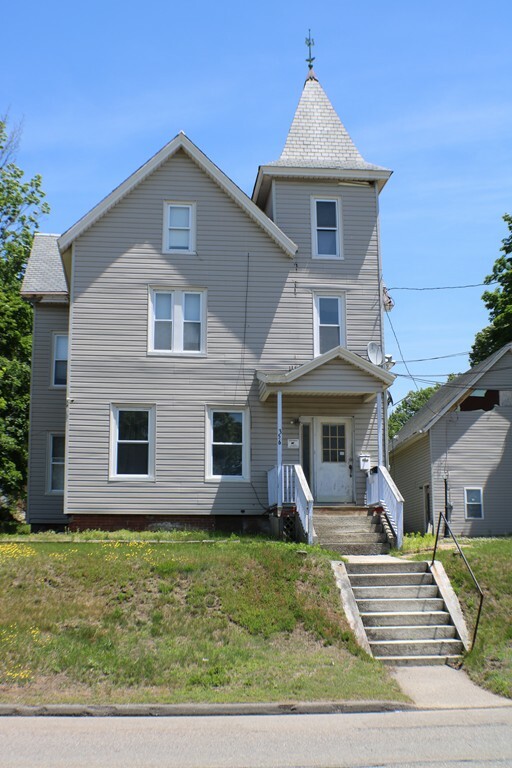 With low inventory and a great owner occupied investment property this home will not last!! Showings to begin at first Open House on Saturday 3/9 11:30-1:30PM and Sunday 3/10 11:30-1:30 PM. 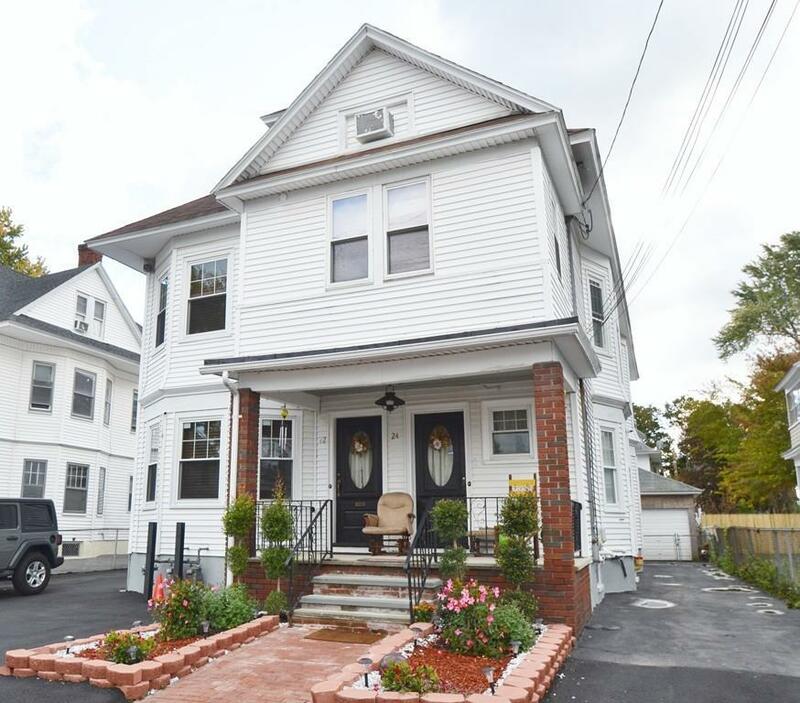 Welcome to this unique oversized 2 unit home that offers updates throughout with hints of charm of yesteryear! Home offers ample off street parking with double driveway, vinyl sided exterior with double pane vinyl windows as well as a fenced in yard area. 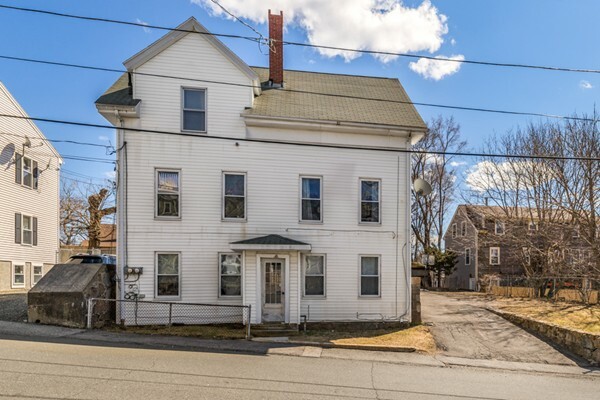 As you walk in you are greeted with original woodwork, wood pillars and hardwood floors in first floor unit. 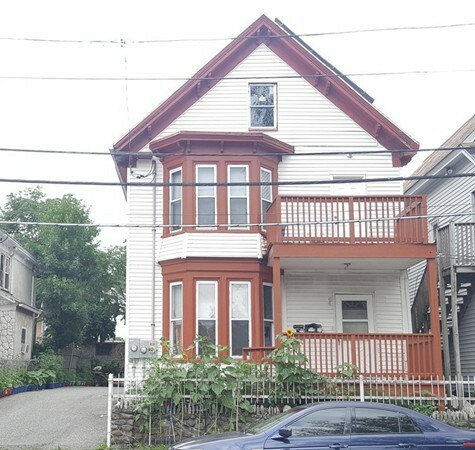 2nd level unit offers original woodwork, 2 full baths as well as a walk-up attic with additional rooms. Home offers two recently installed High Efficiency on demand heating/hot water units. Truly a must see and will not last! Come see your new home and make it yours in time for the holidays! Fall in love with the beautiful features this 2 family home has to offer. Each unit has 3 generous sized bedrooms with hardwood floors and closets, one full bath with tile, large eat-in kitchen with full-size pantry and a gorgeous open concept living/dining room with custom built-in cabinets, woodworking, and hardwood floors. There is a separate front entrance for each unit, side entrances off of the driveway and a back entrance. 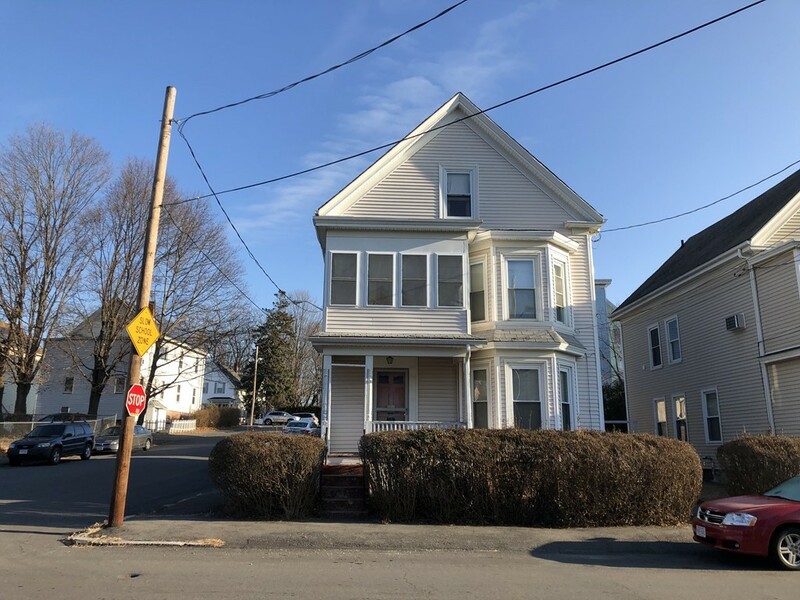 Each unit has its own heating system, water heater, and electrical panel and shares laundry in the basement at the current time, Large walk up attic offers many options as well. Relax on the front or side porches and enjoy the flat, grassy yard with some fencing and a storage shed for garbage barrels. A Public transportation stop is directly across the street and the house is in close proximity to area stores and restaurants. Family owned since 1976. Agent is related to sellers. Solid 3 Family with long term tenants. Brand new roof, off street parking, separate utilities and basement storage for all. Each apartment has high ceilings, original floors and moldings, in unit laundry, and enclosed back sunrooms. 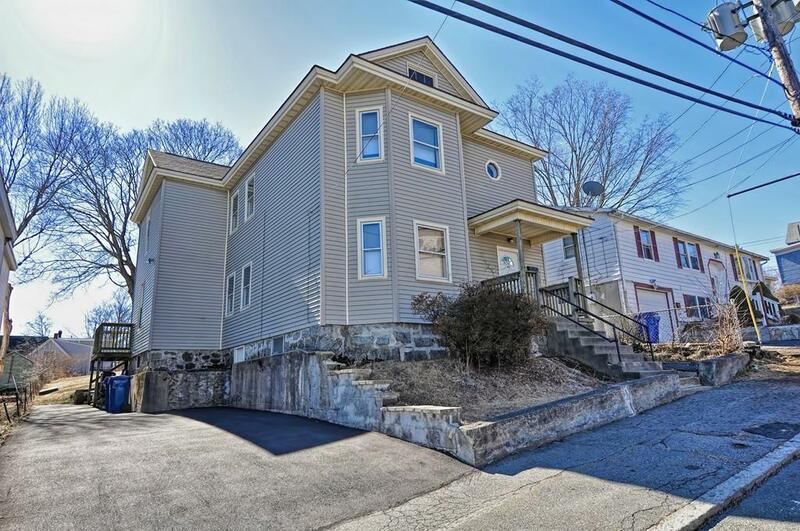 Very short walk to the commuter rail and all the downtown has to offer, yet set on a quite side street. A nice investment property, or would make a fantastic owner occupied situation. 2 Family Residential- Amazing investment opportunity situated in ideal commuter location; minutes away from local amenities and easy access to high ways 213, 495 &93. 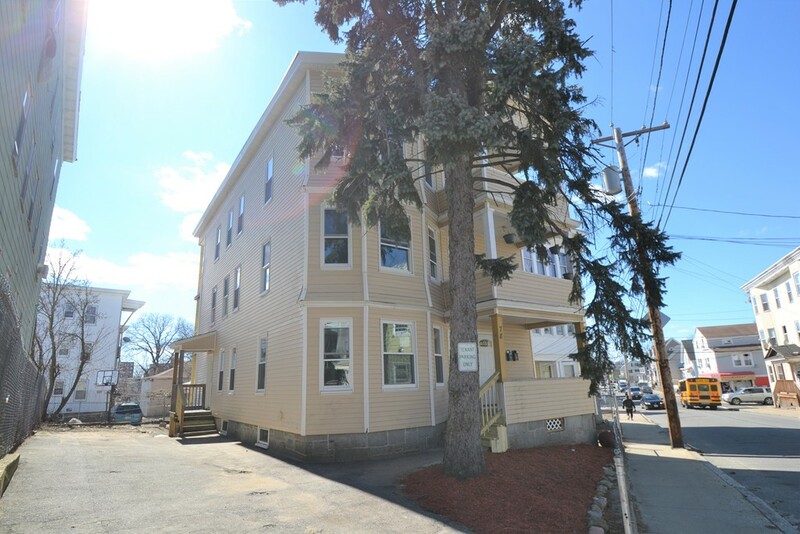 2nd floor unit leased for immediate income. 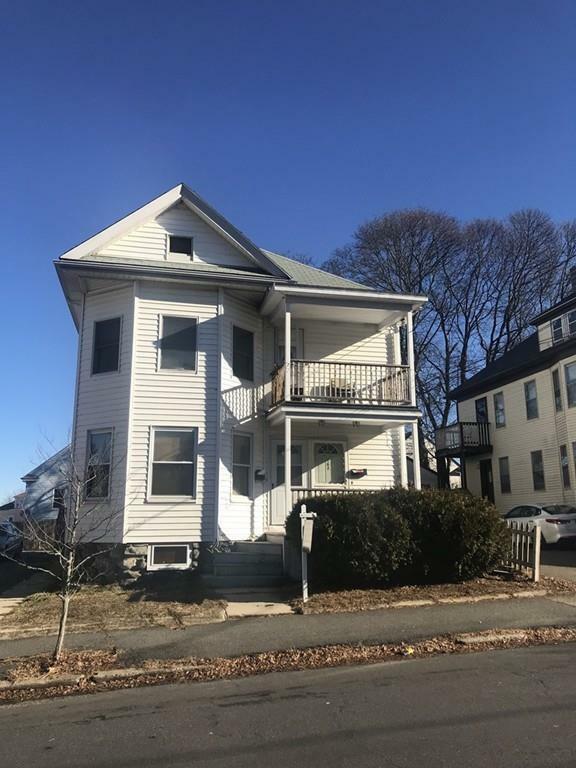 1st floor unit consist of 2 Bedrooms, 1 Bath, kitchen, dining, living room, interior access to basement, beautiful hardwood floor, freshly painted & enclosed porch. 2nd floor unit consist of 2 bedrooms, 1 bath, kitchen, living room and hardwood floor. Both units can be accessed from the front and rear of the building. Mount Vernon, fantastic location!!!! Just 1 minute to Rt 495 and 93! 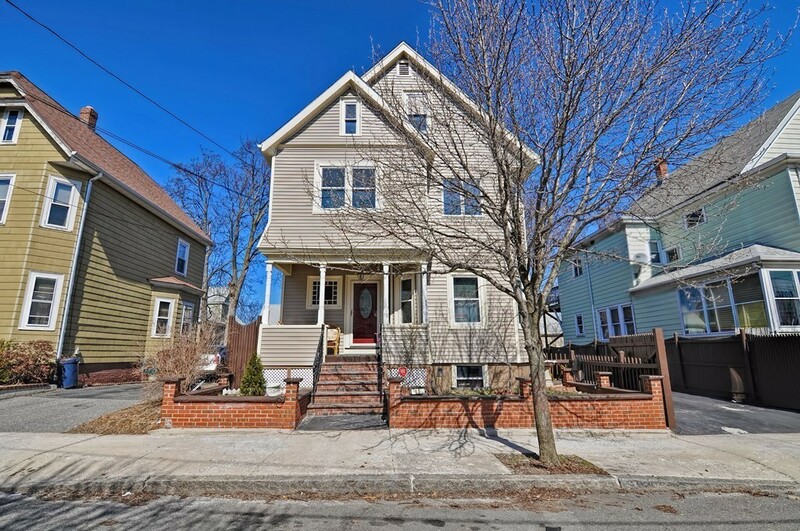 Well cared for 3 family w/ GORGEOUS high efficiency, state of the art, heating systems!! Vinyl siding, replacement windows, newer side porches, gleaming hardwood floors (or hardwood under some carpets). 2 car garage with ample parking! This place will sell fast.. Home is in great condition, sold as-is. 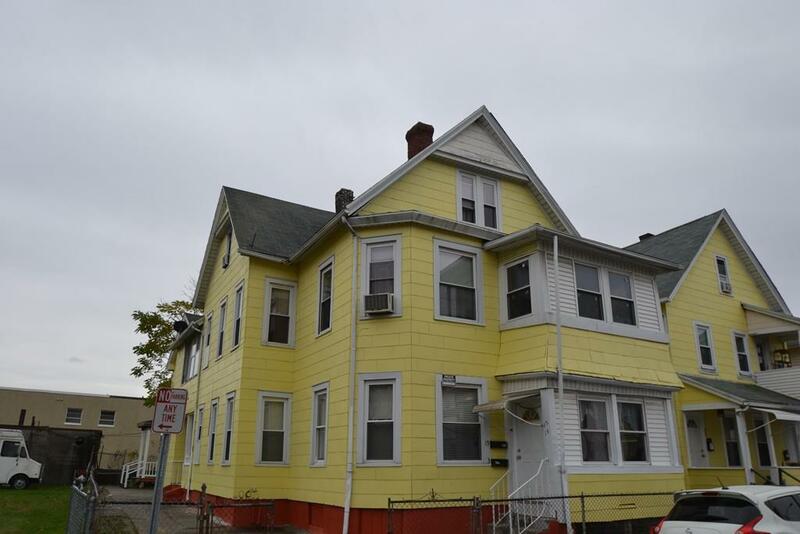 Centrally located 4 unit home! 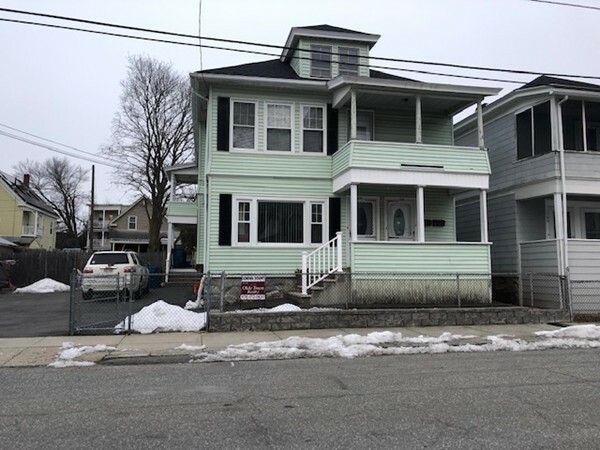 Home is a fully occupied 4 unit with recently replaced roof, vinyl siding, updated vinyl windows, ample off street parking as well as a fenced yard. 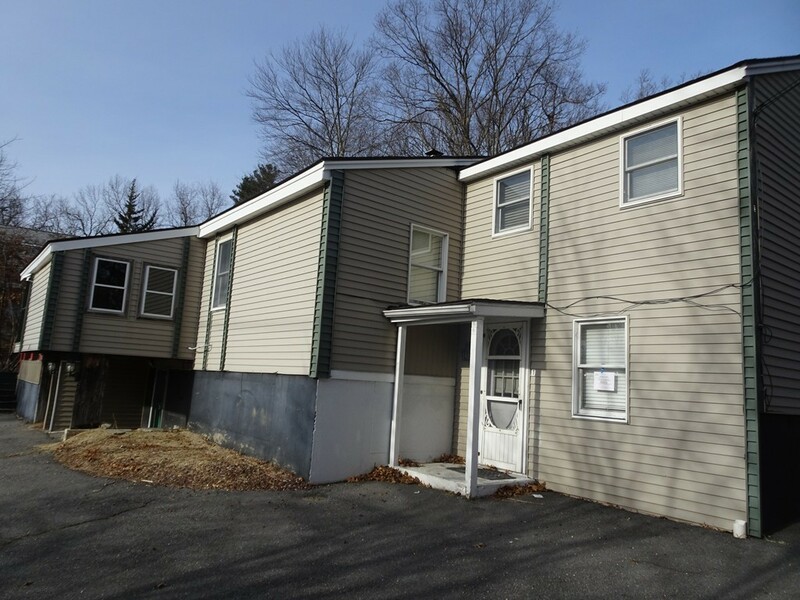 2 units are townhouse style and all units have separate utilities along with common laundry area in lower level. 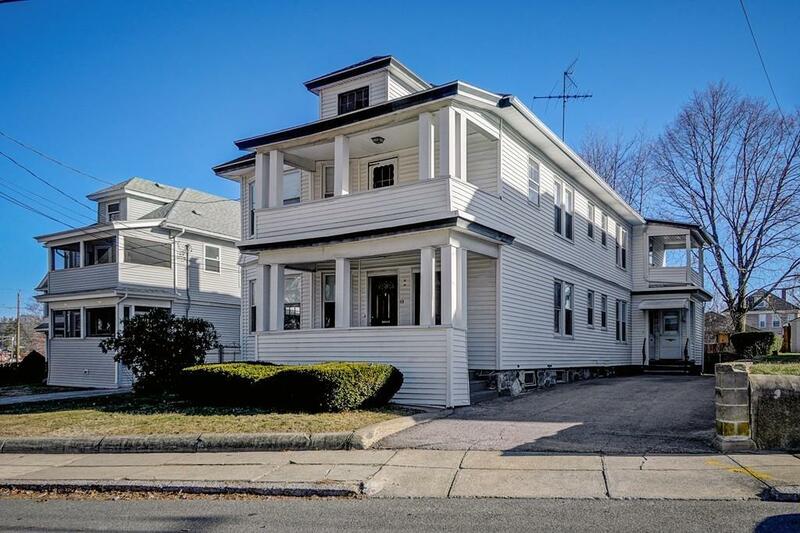 Home is within distance to Interstate 93, Route 213 as well as shopping plazas. Make this one yours! OPPORTUNITY AWAITS!! First time home buyers take notice . . live in a COMPLETELY RENOVATED unit while receiving rental income from the other. Unit boasts a beautiful custom kitchen with GRANITE counters, new lighting, floors and an opportunity to select your appliances - $2,500 allowance! This 3026 sq. 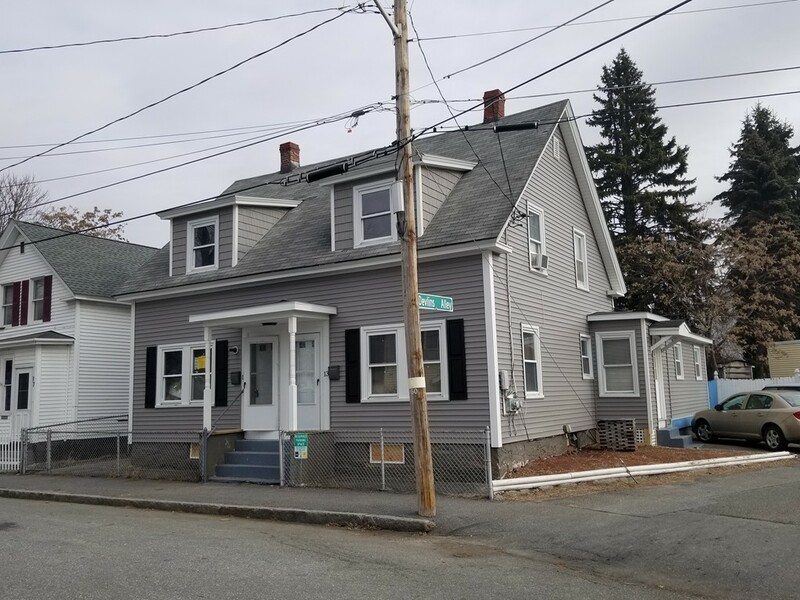 ft. multi-family is located in a highly desirable area of Dracut; featuring two spacious units each offering 4 bedrooms, 1.5 baths, an eat-in kitchen, living room and dining room, tile and hardwood flooring. 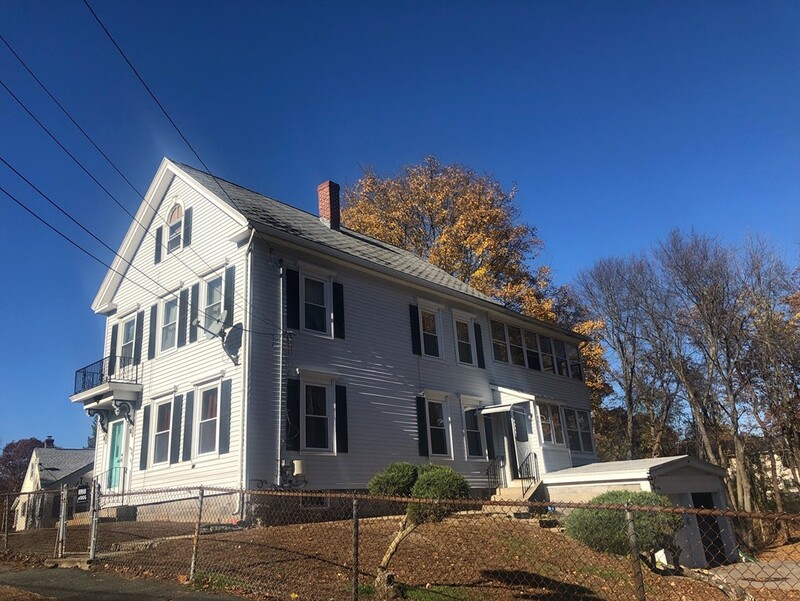 Many property updates include a NEW ROOF 25 Year Architectural shingles, NEW electrical and plumbing - PERFECT INVESTMENT PROPERTY - Potential $3,400 month rental income. Schedule your showing today - this property will surely exceed your expectations! WELCOME HOME! This unique Amherst Contemporary home is a must see. Open concept floor plan for easy entertaining & casual family living. The main house has 4 bedrooms, 2.5 baths, and it's own 2 car garage. There is a vast amount of space here for plenty of expansion! As if that wasn't enough! 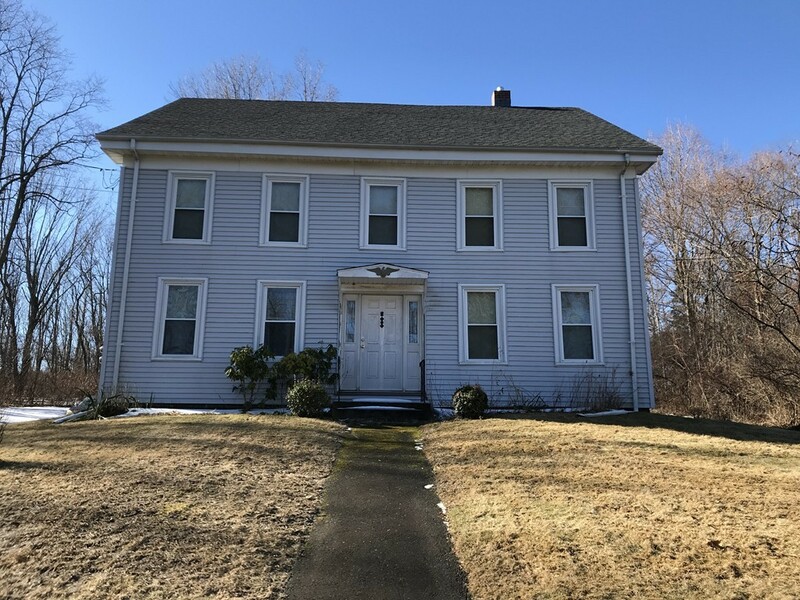 This home includes a spacious In-Law with its own entrance, 2 bedrooms including its own Master suite, 1.5 baths, finished basement space w/ another bathroom, and a 2 car garage making this great potential rental income. Hardwood and tile flooring throughout the entire home. 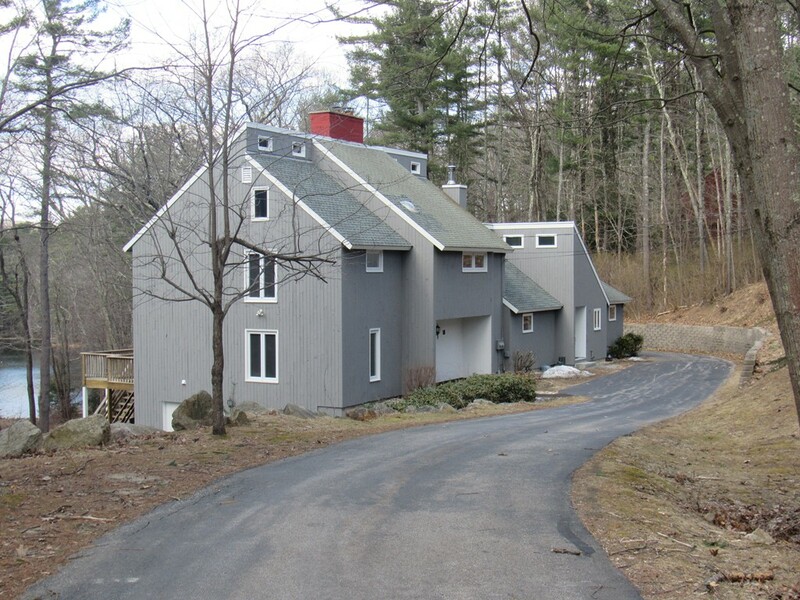 With an expansive 3 season porch to sit out and relax or the large deck with scenic views overlooking Lincoln Pond. Private country setting yet minutes to major routes and shopping. Investors, How does $7,000/mo income sound? Plus, Lead Abatement Certificates for Every Unit!! 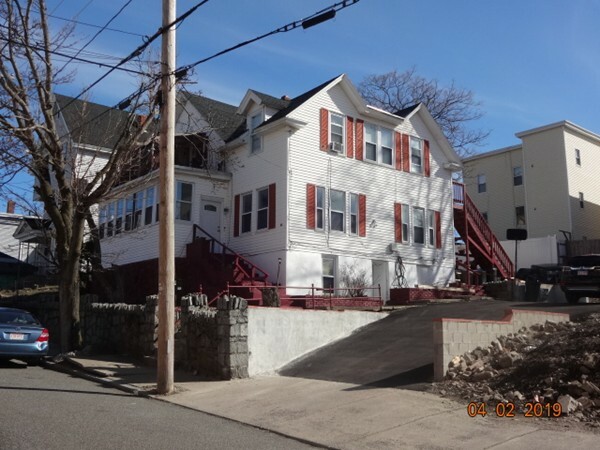 Here's your opportunity to own this excellent condition, cash flow positive, 6 family in Lawrence! 4 of the units have been completely refinished, all new appliances, 4 New Water Heaters, Video Surveillance Security Cameras, & Rubber Roof is 7 years New! 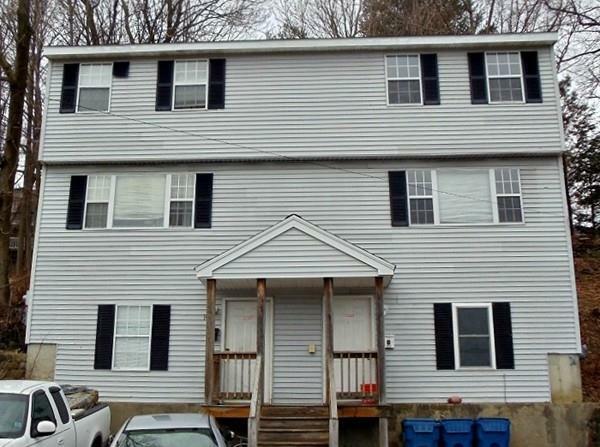 Call for more information and a showing today for your chance to own this great investment! ATTENTION INVESTORS/LANDLORDS! Three Story, Fabulous and Spectacular! Large, Premier 2-unit home in ideal commuter location near public transportation, restaurants, shops and the new Encore Casino. The 1st floor unit has many updates and SS appliances. The 2nd unit has 2 fully renovated floors and de-leaded (certificate available). 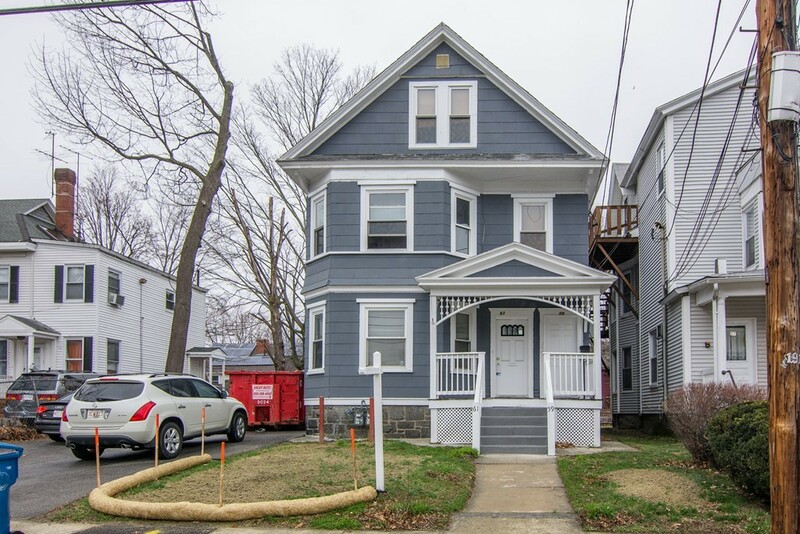 The 2nd unit also has all hardwood flooring throughout, new windows with natural woodwork, new kitchen cabinets, new SS appliances, including washer and dryer. The common basement has full bath, bar and storage room. This home has a newer roof, fenced yard, 5 car driveway with sensor lighting, security system and much more...excellent income property! This is a Must See and won't last long!!! Come on in! !